The Loyd Gun Carriage is a British tier 2 self-propelled gun. 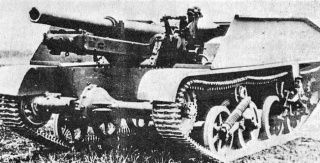 A proposal to mount a 76.2 mm gun on the chassis of the Loyd Carrier artillery truck. Developed from 1940 through 1941. No prototypes were manufactured. 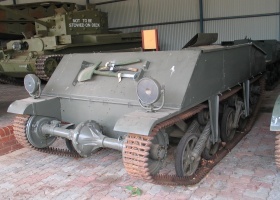 The Loyd Gun Carriage leads to the Sexton II. Great accuracy,only FT BS and SU-8 is better. Open front and top (In fact, almost everything is exposed). Shells can't fly through the interior because of an invisible zero armor zone. This SPG is a fun artillery piece. Its gun is somewhat low-damaged, but it fires quickly which helps to keep enemies pinned down in certain situations. The Loyd Gun Carriage is a low profile machine and is surprisingly maneuverable so it will not find it difficult to reach small bushes or areas of rubble with which it can hide itself. The Q.F. 13-Pr. Mk. 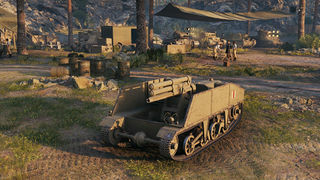 III comes with a decent 42mm of penetration will have no problem punching through the lightly armored targets you will be facing with this SPG. The 165 average damage is also nice.The reload on this SPG is not bad at 6.67 rounds a minute. This is right in the middle for tier 2 SPG's as only the SU-18 (7.5 rounds) and RenaultBS (7.69 rounds) fire quicker. 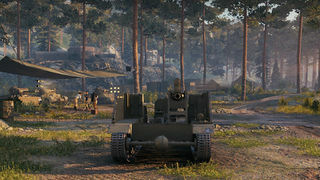 Its reload beats the T57 (6.38 rounds) and the G.Pz. Mk. VI(e) (2.22 rounds). 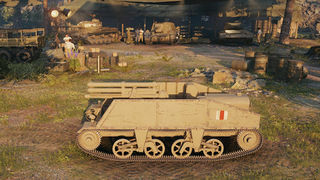 The view range of the Loyd Gun Carriage is also superb for its tier at 320m. When compared to other SPG's at this tier, they fall in at 260-280m. The LGC is 40m better off than its peers.If necessary the the LGC can spot its own targets later on in a game much more effectively than its counterparts. 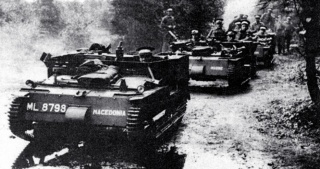 Nothing carries over from the Vickers Medium Mk. I. First, research the Ford V8-221 Engine. Reseacrh the WS No. 11 Radio, followed by the WS No. 9 Radio. Finally, research the Loyd Carrier Mk. II Suspension. 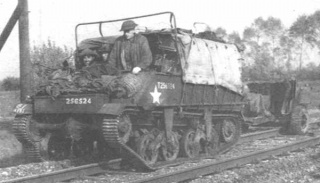 The Loyd Gun Carriage was a proposal for the British army to mount a 76.2-mm gun on the chassis of the Loyd Carrier artillery truck. 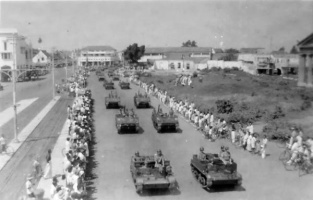 Developed from 1940 through 1941. The project was scrapped in the drawings phase and no prototypes were manufactured. However. 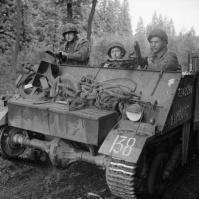 there are several documented examples of vehicles being modified to carry artillery pieces, although that was more of an improvisation rather then a real project being prepared for mass production. 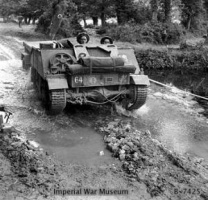 The Loyd Carrier was built upon the mechanicals (engine, gearbox and transmission) of a 15 cwt 4x2 Fordson 7V truck with mild steel bodywork to which armour plate (referred to as 'BP Plate' in Loyd manuals) was bolted (to the front and upper sides) depending on application. The engine was at the rear of the Carrier with the radiator behind rather than in front. The transmission then took the drive forward to the axle at the very front where it drove the tracks. Both the front drive sprockets and idlers (which were also sprocketed) at the rear of the tracks were fitted with brakes, actuated by a pair of levers by the driver. To turn the vehicle to the left, the brakes were applied on that side and the Carrier would slew round the stopped track. 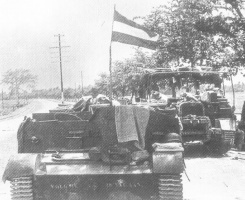 The upper hull covered the front and sides but was open to the rear and above; as the Carrier was not expected to function as a fighting vehicle this was not an issue. To protect the occupants from the weather a canvas tilt could be put up; this was standard fitment from the factory. 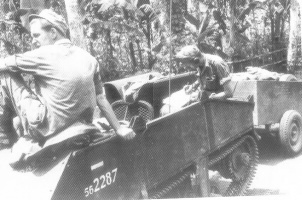 As part of the rapid development program and use of pre-designed parts the Loyd used parts from other vehicles. From the Universal Carrier the track, drive sprockets, and suspension units. From the Fordson 7V, the chassis, engine, gearbox, torque tube, axle and brakes. This page was last modified on 23 October 2016, at 21:08. This page has been accessed 48,367 times.